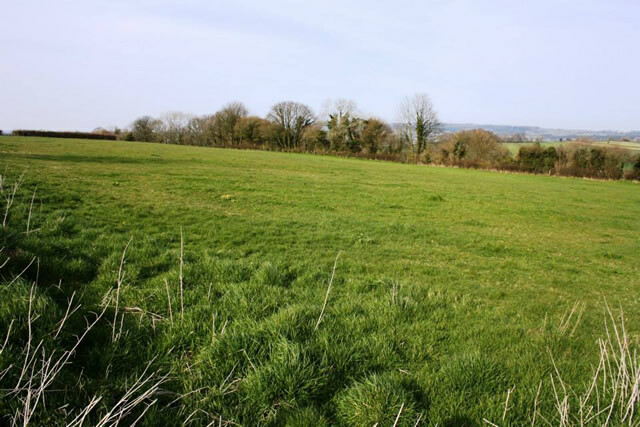 Wincanton is in the middle of a building frenzy and although it has its full quota of housing according to the local town plan as it stands; it has come to light that there are plans to build 120 homes East of Penn View, North of Bayford Hill. Doug Castle, a resident of Penn View whose garden backs onto the proposed site, has started a petition against the plan and currently has well over 100 signatures. Those who wish to sign will find the petition at Wild Cardz and the Sandwich Box on Wincanton High Street. If you can’t make it to those shops but would like to register your support, click here to sign an online petition. It’s free secure and easy to do. Doug says "We understand that the government allocation of houses for Wincanton until 2026 is 703. We are currently up to this number; therefore there is no need for more land being taken up now, or in the near future." News of this development was leaked to the community via social networking several days before a leaflet drop to the area affected. The public were then invited to a consultation meeting where the proposed plans could be seen and views aired. The land in question is outside the local plan curtilage and would destroy open countryside which is used by walkers and many for recreation. Along with further development to the South of Bayford Hill, this would result in the two settlements being joined together. Doug added, "This is agricultural land which is used for grazing cattle and producing winter fodder. The world is struggling now to grow enough food to feed its population, therefore no more agricultural land should be given over to housing." Speaking to residents of both Wincanton and Bayford after they left the consultation, many voiced their fears for the future of both town and village if the development goes ahead. That the proposed site would be too far from amenities such as schools, Health Centre and hospital, or even shops, banks, post office and supermarkets, making the need for a car essential. Important amenities are largely to the West of Wincanton, hence the centre of Wincanton already becomes congested at peak times of the day, for example the school pick up. At this time traffic backs up from the one way system into the High Street and down Church Street. The development could cause flooding along the River Cale. The appraisal for this site states that the water will be drained off into the river at the bottom of Bayford Hill and therefore will not cause flooding around the River Cale in Wincanton. However the site falls steeply away from Penn View to the tributary at Bayford; this then flows north and enters the River Cale at the bottom of Old Hill. The plan itself highlights a huge swathe of Wincanton already at risk to flooding and in view of climate change a development on this scale would only add to the risk. The development entrance on Bayford Hill would be dangerous. The proposed entrance is half way down Bayford Hill, only a few metres from where there was a fatal accident in 2013. There is a tendency for traffic to speed up down this short but straight section of road which leaves little time to position a vehicle in the direction of Wincanton. Looking at the bigger picture, there is already an imbalance between housing development and employment in the area. Most people have to travel some distance out of town to seek employment as there is a distinct lack of industry here and another development of 120 homes would only exacerbate the situation. Wincanton is also faced with the fact that our primary schools are full to capacity even before current housing plans are completed and the recently built health centre is struggling to cope with the growing population. Rather than let Wincanton sprawl out into the countryside, wouldn't it be better to use the brown field sites and derelict buildings in the town centre, which have been empty for many years? 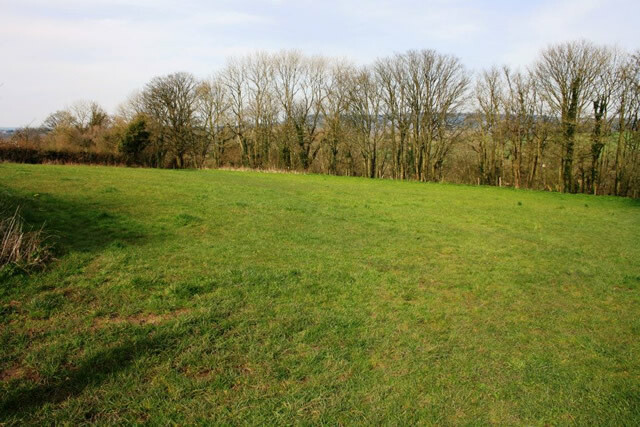 Doug adds, "There is an 'eye-sore' brown field site in Station Road that needs to be developed before any other green field sites are granted planning permission." It's plain to see that we cannot continue to allow Wincanton to expand as it is without the infrastructure to support it. We need industry before housing; not the cart before the horse. 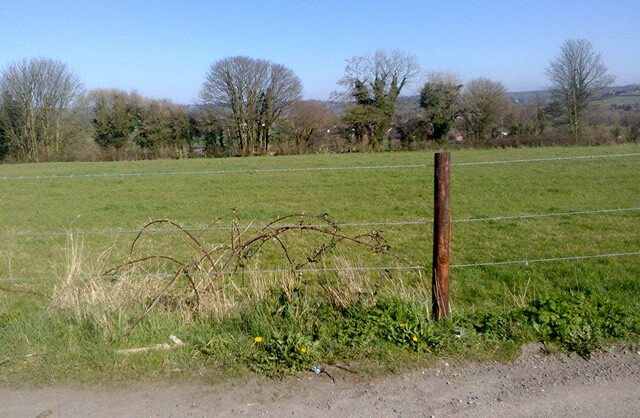 UPDATE 8/4/14: Anyone signing the petition must live in Wincanton or Bayford. Anyone else signing it won’t be counted. This plan is profiteering at its grubby, grasping worst. It just makes one feel sick, so sign the petition and keep agitating and watching for the "developers" next move. Thank you for the beautiful photographs. Unsurprisingly, this petition has been started by a NIMBY, who's property backs onto the proposed development. I am right now reading an article in the latest investor's chronicle magazine about house building companies, and there are some interesting stats given. The number of new households being created per year this decade is forecast to be 221,000 by the office for national statistics, with only 100,000 new homes being built per year. These problems will become exacerbated by 20 and 30 something's who have been unable to move out and can't put up with living with their parents anymore. Boomerang generation anyone? There is a clear housing shortage in this country and it is the people who own a home already who profit from the supply and demand imbalance. Said 20 and 30 something's are the ones who have to pay the (overinflated) price. To all baby boomers who have benefited from decades of rising asset prices - do you even care that your children and grandchildren are going to be fleeced to put a roof over their heads? If the generations above them block house building they will be at best in cramped unsuitable accommodation, or at worst on the street. Whilst I completely agree that brownfield sites are a much better alternative, this will not be sufficient supply on its own. We are already at a supply crisis and greenfield can be built quickly, cheaply and sympathetically. My house would have been a greenfield build in the 70s, and if people had the same anti development attitudes then, how much worse would the problem be today. Interesting, but is building really the answer? Is it not also undeniable that the cost of *land* is inevitably going to rise? Land is the ultimately limited resource in this equation. Is it even possible to avoid a situation where people of the future, our children, have to fight harder for their patch? On one hand you have the argument that it can't possibly be good to continuously build on green fields; it's a horrible abuse of the land. But on the other hand if we don't build houses the prices will continue to climb. Are we simply delaying the inevitable, and if so, isn't the cost too high? It has been suggested that there are better sites for development. It seems there's no debate on that issue. If houses must be built we should certainly at least be more selective, and enforce laws to that effect. In this case the site has been selected by someone who doesn't otherwise have a foot in the door, and the accusation is that they are profiteering and care not for the environment. All of this rings true, but suggesting that perpetual building shouldn't be at least resisted along the way seems every bit as unwise as claiming that we should never allow green fields to be built on. Neither approach can be correct. But in defence of resistance: sometimes it's necessary in order to keep things in check, even if the opposing goal of the rebels is just as horrible. Ultimately there are much bigger issues being summarily ignored. We are too many. If we were truly noble we'd probably establish a family birth limit like the Chinese, and stop all immigrants entering the country. The economy itself is clearly at huge and fundamental fault. Till these things are fixed there's really no hope at all, either way. Dominic, the figures from that magazine you quoted for the average house price rise in 2013 are curious. The Office for National Statistics (source below) reckons that house prices in the 12 months up to November 2013 was 5.5%, and if you take out London and the south east, that goes down even further to 3.1% in the same period. Who was it that said “Lies, damned lies and statistics”? Anyway, be that as it may, it doesn't necessarily follow that someone who disagrees with green fields being dug up for the profit of large scale developers doesn't give a damn about their kids’ futures. I think it’s only natural that people will want to defend both the value and surroundings of homes they've worked hard for and that doesn't preclude caring for the environment at the same time. Our children will have a far better inheritance eventually than I could ever hope for from my own parents. The baby-boomers may have some equity in our homes now, if we’re lucky (and more years still to pay on our mortgages!). Remember though, we’re also the same generation who suffered catastrophic negative equity in the early 90s and had to work hard for many, many years to fight free of it. It’s not all been plain sailing and profiteering! I do agree with you that new homes can be built quickly and cheaply; I can’t agree with the word “sympathetically”, though. Most new homes are ugly, cramped and built to a density which profits only the developer. 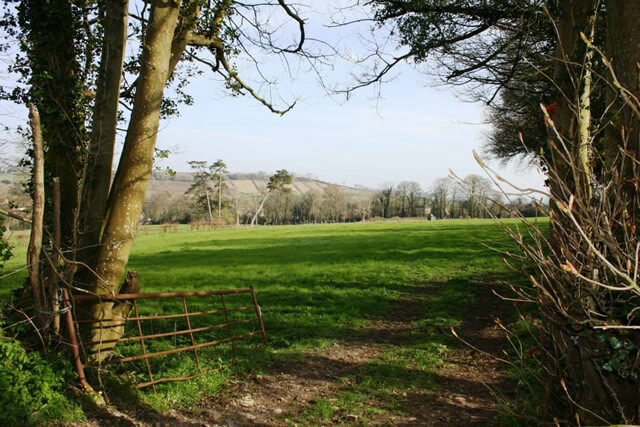 Whilst brown-field sites may not be a completely sufficient supply by themselves, I do believe we should do much, much more to use them wherever possible and that planners should ONLY give permission for green fields to be developed if there are no suitable alternatives. If Wincanton already has the 700-odd homes granted that was supposed to be our lot until 2026, that already means at least an extra 2,500 - 3,000 extra residents. Where are the extra schools, dentists, doctors etc to cope with that? How can we be complaining about lack of high street use and this at the same time?! Surely a population increase will help the local businesses? Your children and grandchildren need somewhere to make their homes. That hill looks like a nice spot for wind turbines. Alas, the message I wrote last night disappeared so I will try again. Mandy, I think it was Mark Twain who popularised that one. Another one of his topical quotes is “buy land, they’ve stopped making it”. Homer Simpson also said “made up statistics can be used to prove anything”. So I take your point about the accuracy of the stats. I expect the real figure is somewhere in between. Nevertheless, I am not the only one saying this. This article from the Beeb that came out today http://www.bbc.co.uk/news/business-26957600 also claims that there is a desperate need for more homes. Whilst of course, brownfield is preferable, the added time and cost of demolition does not help solve the urgency of the situation. I know first hand what chronic housing shortage can do to prices. I originally come from Guernsey, where as you might expect, there is limited land available and the only option is to either reclaim, or build upwards. The anti-development attitudes over there scupper any plans that are tabled along those lines. As a result, you can expect to pay £400k+ for a 3 bed semi. Ludicrous I know, but coming to a postcode near you? Quite possibly if supply isn’t considerably boosted soon. It could get there in about 12 and a half years if house prices rose 8% a year, and that’s using a modest £150k starting point. I’m not saying this will happen but even getting part of the way there would make houses much less affordable. Even now, they are expensive, based on people’s salaries – take a look at this chart from Nationwide and the ONS http://img.thisismoney.co.uk/i/pix/2010/06/ratio1_460x278.jpg . (Yes, unlucky if you owned in the early 90s, but not if you hung on!) Having been pushed into economic migration thanks to NIMBYism, I wouldn’t wish this on anyone else. This is a major reason I can’t stand NIMBYism, because I know first hand how people (usually young people) can suffer from it. David, I don’t necessary agree with the inevitable rise of the cost of land. Consider oil, another finite resource. If OPEC suddenly decided to double output, the price would go down considerably, because although there is a finite amount left in the ground, there is more swishing about that can be used right now. The same goes for land – whilst overall the amount of land is fixed, the amount that can be developed is not; so surely increasing the amount of land with planning permission will reduce the price of that type of land. It is interesting that you suggest birth and immigration control as measures to reduce housing demand, and counter the imbalance from the other side of the equation. Since total fertility rate is still below replacement level, and immigration is falling as the developing world catches up, this could very well have an impact in reducing prices. Not to mention the baby boomer bulge working its way up the population pyramid with time, and eventually disappearing when there is a spike in the death rate. So I don’t think that freeing up more land to build on will lead inexorably to the paving over of Britain, because demographics will solve the problem in 30-40 years anyway. But for now the imbalance remains, as is all over the press today. However, if a demand reduction strategy were employed, I would be concerned that people would feel forced away by malign economic and social policy, as happened in Ireland during the depths of the great recession. Many young people departed for the rest of the Anglosphere, because their prospects were so bleak at home. Enter brain drain problems. Back to Mandy again, I agree with what you are saying about the aesthetics of some new builds. Whilst they “can” be built sympathetically, that doesn’t mean they necessarily are. This is not necessarily the fault of the house building companies, and their profiteering. Back when Labour was in power, they introduced minimum density rules that stipulated 30 homes were to be built per hectare of land. (I’m glad my session timed out last night, because I only had a vague idea of the hard facts of this! – see this article from 2010 http://www.telegraph.co.uk/news/politics/conservative/7807142/Coalition-government-housing-density-rules-to-be-abandoned.html ). I believe that these rules have been phased out, so shouldn’t be as much of an issue going forward. Although granted, that doesn’t stop house building companies from continuing to cram them in if that is how they can boost their bottom line. Perhaps the best option for those against it would be to begrudgingly accept that the development is most likely to happen anyway, but try to influence it in such a way that it can be built sympathetically. With lots of nice trees and spacious gardens. People have to compromise somewhere. On the flip side, I am already a homeowner, so if the country decides not to build, happy days! Yes Maisydae - it is called Windmill Hill after all! Just the job. I can assure you this is not a case of "Nimbyism" but is in fact a desire to keep development in check and try to ensure that brownfield sites are utilised before greenfield sites. There are several brownfield sites in the town which could easily be developed to provide the handful of houses needed. In doing this the aesthetics of the whole town would be improved. I believe residents are probably "immune" to the shocking state of some sites around the town as they see them every day. Next time you drive or walk around town try to look through the eyes of a visitor. Wincanton is a small, rural, market town and does not need more sprawling housing, there isn't the demand, what there is is greed. If we are to keep the character of the town then we need to keep the surrounding countryside as it is, countryside, and call a halt to building for the sake of building. Try also to think of this from the perspective of residents of Bayford, a small village which will become a suburb of Wincanton. Arguments of it being a necessary change and inevitable just don't carry any weight with me. As I've said extra housing is not needed, there is no infrastructure to support the extra families who would be housed there. The health centre and schools are groaning at the seams, there aren't jobs unless you travel (ok perhaps 15 miles to Yeovil doesn't sound far but it's a 30 mile round trip, at least 5 days a week) and it's likely that people who work out of town will spend their money out of town. How exactly does that help the High Street? It doesn't. It's time to send a very clear message to developers before we look back in a few years time with regret. You are assuming that the people who move in to these houses are outsiders that won't be interested in the community they have joined. I think many new buyers will be either upgrading or downsizing from a house they already own in Wincanton and surrounding areas. I have assumed nothing, merely stated my opinion. If existing residents are looking to upgrade and downsize then where's the need for additional housing? There isn't! Time to stand up to developers who have no care for the town or its community but only for their own profits, rather than continue to let them walk all over residents. If there is a housing shortage it has been caused by spineless National politicians allowing our population to rise because of EU rules allowing unfettered immigration from the other 26 EU countries which our politicians have not had the common sense or guts to control. It was obvious to anyone who travels that the UK would be a massive attraction to former Eastern block residents who could, in many cases, increase their standard of living 10 fold by coming here, and who can blame them, many are hard working and doing the best for themselves and their families. Our problem is we are a small overpopulated island and should not have allowed ourselves to be treated as if we were part of mainland Europe. We have limited fertile land and the highest density of population already by far. Our population has increased by about 5 million which is why we are being told we must build over our fields, why our schools are full and our hospitals can't cope. The scariest thing is nothing has been done to control unfettered immigration so any political upheaval on mainland Europe could cause many millions more to seek a better standard of living in the UK, thank goodness Ukraine has not yet been allowed in or many would be fleeing the troubles there to seek sanctuary here. When do we say enough is enough and take control of our own borders again. In 1945 our population was 35 million and we could not feed ourselves, it is now nudging 70 million and we are building over our farmland, is it just me or can anyone else do the maths. And I thought the comments were about a new "development" in Wincanton's Windmill Hill Area, not a UKIP like beef about East European immigrants when the people we have who have settled here are doing their best,working hard and to be welcomed and helped to feel part of the community. The point is not Nimbyism but that we already have more than enough houses here or already in the system. A desire to exit the EU is quite a different issue and I think should be kept for another article. The whole point is about housing John, the reason why every town, city and village up and down the entire country is being forced by central government to build mass's of new houses is as a direct result of unfettered, unselected EU immigration. It doesn't help understand why this is happening by turning a blind eye to the main reason. As I said any major upheaval in the EU or indeed war in the Ukraine and it will likely result in many more people arriving in the UK, then even more housing will have to be built. followed by schools, hospitals and all the other infrastructure that goes with a suddenly increased population. In councils, "sustainability" is the buzz word, how unsustainable is our lack of control of our borders.